Explore 20 reasons why employees resist change in the workplace via this presentation. Look around, change is everywhere you turn in organizations. Change is here to stay because any organizations that will not make changes risk being left behind and forgotten. However, with any organizational change, expect employees resistance. So, let’s explore 20 reasons why employees resist change in the workplace. 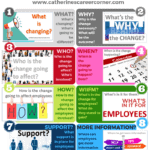 There are various reasons why employees resist change in the workplace. Out of these various reasons, we have picked the ones we see as the most crucial 20 reasons why employees resist change in the workplace. 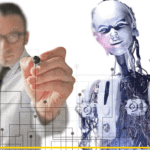 In recent years, technological growth, the Information Age, changes in global economy and the business environment have forced organizations to change the way they do business. And in these organizations, managers, and supervisors are the ones who have to implement the change cascaded down to them by CEOs or Directors. However, the traditional skills possessed by most managers do not include that of being an effective Change Agent. In these rapidly changing times, managers need change management tools, tips, resources and information more than ever before. Unfortunately, with any change in an organization expect resistance in different forms. Well, Robert F. Kennedy once said, “About twenty percent of the people are against any change.” My findings, in the past support Kennedy’s theory. No matter how effective a change leader you are, it is not uncommon to periodically find your change efforts being challenged, or even sabotaged. For this reason, organizational change does not come easy, so as many as two-thirds of organizational change management efforts fail. In the presentation below, we explore 20 reasons why employees resist change in the workplace and 10 ways to deal with change resistance. 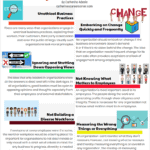 Now that you know the 20 reasons why employees resist change in the workplace and how to deal with resistance, are there any other reasons that you can add to the list? Feel free to add your comments below.